NECROPHILIAC & THE KILLER GIMPS brings the sleaze on VHS. 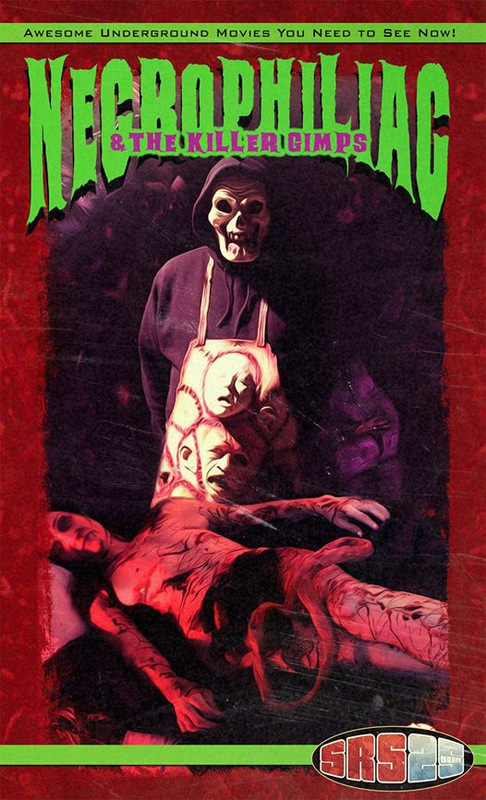 SRS Cinema is excited to bring you another VHS only release –NECROPHILIAC & THE KILLER GIMPS from U.K.filmmaker Jason Impey along with Kieran Johnston. There are currently no other plans for a wide release on DVD or Bluray or even VOD, so this will be the only way to see this disturbing movie, at least for some time now. NECROPHILIAC & THE KILLER GIMPS brings together a collection of seedy tales from the underground by two rogue British directors – Jason Impey & Kieran Johnston. Witness bizarre stories unfold featuring sadistic killers, crazed gimps, filthy sluts, dirty necrophiliacs and evil Nazis. Each segment pays homage to the great era of exploitation cinema. The new release is limited to just 25 units and is out now. It is expected to ship early Sept. Check out the trailer below to see what you will be in store for.